Once a theme park operated by Warner Brothers, Jungle Habitat is now preserved land. Now Jungle Habitat is a destination for bikers and hikers. JORBA maintains the bike trails. 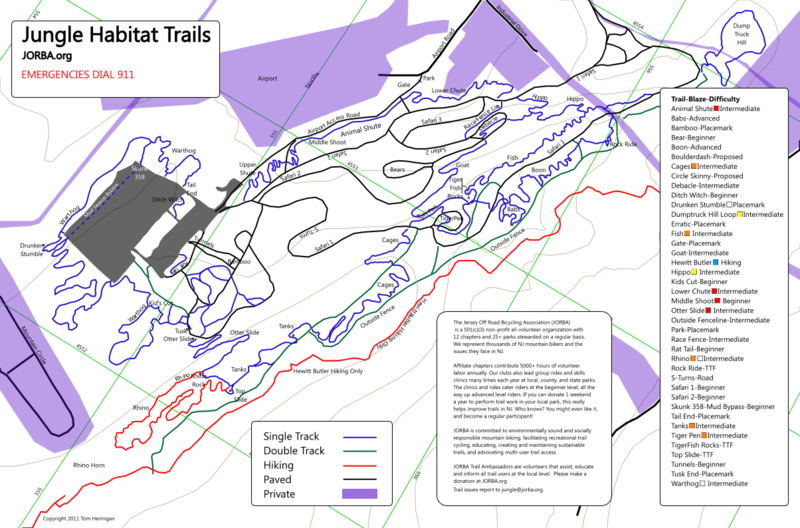 Hiking trails are indicated in Red and Black, Biking trails are indicated in Green and Blue.